As you may recall, my most recent post expressed delight about the outcome of, and considerable skepticism about the motives for, the Supreme Court’s ruling upholding the Affordable Care Act. I return to that decision because the implications of the Court’s ruling on the extension of Medicaid are unfolding in very troubling ways. Medicaid is a health care program for low income people. It’s run by the states, and, currently, the federal government covers a little more than half the cost. The Affordable Care Act, as written, required the extension of Medicaid coverage to people under the age of 65 (at 65, people are eligible for MediCare) who earn too much to be otherwise eligible for the program. (These newly eligible people are not rich, or close to it. The income cut off for a family of four is about $31,000.) The expansion of Medicaid — along with the individual mandate and subsidies for some individuals to enable them to purchase health insurance – was key to making sure more people who don’t currently have health care could get it. To cover the costs of the expansion, the law provides that 100% of the additional cost imposed by the addition of new people to the program would be paid for by the federal government for the first three years. Thereafter, the states pick up an increasing percentage of the cost, but never more than 10%. The classic carrot and stick approach. The Act used it to encourage participation in Medicaid expansion. be penalized by losing the federal subsidy for their existing Medicaid programs. The Supreme Court’s decision said that the penalizing states that did not want to participate in the Medicaid expansion by depriving them of all their federal Medicaid funding is unconstitutional. If they participate, they get the huge federal subsidies for the expansion, but there is not penalty for not participating. 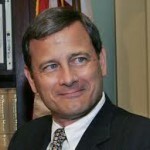 This is Justice Roberts. 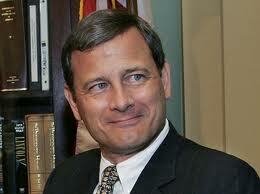 The smirk is that of a judicial activist. Others have pointed out that the Court essentially rewrote the Medicaid section of the law in deciding the case, something courts are not supposed to do. (Remember, “judicial restraint” is supposedly a key issue for conservatives when they review judicial nominees.) As the impact of their decision plays out, the fact that they are not supposed to do it may explain why they did it. The governors of some very large states with lots of poor uninsured people in them have announced that they do not intend to expand Medicaid coverage under the Affordable Care Act. Leading the pack are Texas and Florida. They are joined so far by Mississippi, Louisiana and South Carolina. Other states will likely join them. In Florida alone, that will leave approximately 950,000 uncovered people who would have had health coverage with Medicaid Expansion. 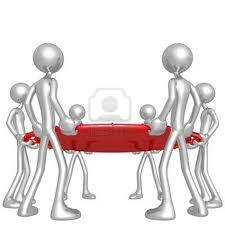 The governors cannot act alone. The state legislatures decide on the scope of the states’ Medicaid programs. But many of the states whose governors are saying no to expansion have Republican-dominated legislatures. Don’t expect the legislative debates to be any less morally reprehensible than the governors’ views. If you need one of these, be sure the Governor of Florida isn’t holding it. Consider this statement by the Republican vice chair of the Florida Senate Budget Committee: “Medicaid should be a last-resort safety-net program, and not a mechanism to reduce the number of uninsured. We have to hope our economy keeps improving and more people get back to work and therefore would have access to private health insurance.” Medicaid is a last resort safety net program designed to guarantee health care for the poor. Expanding it covers more poor people, reducing the number of uninsured. Health care is the safety net. People don’t stay in the Medicaid program if they get jobs with health insurance. But hoping that happens is a very far cry from providing a safety net. For the governors rejecting Medicaid expansion, the position is an ideological one, not driven by financial concerns. After all, for the first three years of the program there is no cost to the states. The ideology is one that argues against federal programs on the grounds that they amount to interference with the state’s self-governance. The argument basically amounts to this: if the state wants to ignore the needs of the poor, they should be free to do so. I believe that the Supreme Court, in ruling as it did on Medicaid, intended this outcome. It fits right into the philosophy of the right wing of the court (Roberts, Thomas, Alito, Scalia, and, too often, Kennedy) to undermine the federal government’s power to provide basic services when the states refuse to do so. The Justices have a great health care plan. So do the governors, I imagine. I hope so, and hope their coverage extends to drugs to help them sleep at night. For shame. This entry was posted in Health Policy and tagged Affordable Care Act, Florida, Justice Alito, Justice Kennedy, Justice Roberts, Justice Scalia, Justice Thomas, Medicaid, Supreme Court, Texas. Bookmark the permalink. Through no fault of my own, I have to live here. So for whatever it’s worth, I can confirm: Rick Scott is an evil, twisted, Teahadi Satan-worshipper. Though I worry that that doesn’t even begin to cover it. He bought himself the governor’s mansion in 2010 with the most expensive gubernatorial campaign in US history ($72 million, including a big chunk of Tea Party change), and since then he’s been doing his Sith Overlords proud. With him and Texas’s Perry leading the charge to convince states not to accept Medicaid-expansion money, I think a new campaign is in order: Ricks Are Dicks. Wendell hits some of the nails on our pin head governor. He’s now leading another charge to return to the plantation by re-instituting the old poll tax under the excuse he wants to purge the voter rolls of all them there folks what are voting fraudently. He also led the charge to require all the folks receiving public assistance to take a drug test under the guise that these folks were riddled with drug abusers. After spending over a million dollars administering the program only a handful of drug test failures were uncovered. He is taking our state back to some sad days when poverty sent folks back to picking cotton or something more fitting to their failure to become as wealthy as he did when the healthcare company he headed was fined big bucks for cheating the system. Of even greater concern is that he was elected at all despite his millions to buy his way into the governor’s mansion. There is talk that maybe this is what we get for electing a president for which many consider as someone different from many of us. Now this abusive intent to throw the poor under the plantation’s labor bus. Shame on him and our Republican controlled legislature. I know California is virtually bankrupt. But not morally. All Floridans of common sense are more than welcome here.